Freddie Roach, the former trainer of Amir Khan, believes his former pupil is going to need a perfect performance in order to defeat WBO welterweight champion Terence Crawford. Khan will challenge Crawford on Saturday night at Madison Square Garden in New York City. Khan is a big underdog in bout, with Crawford widely regarded as one of the best pound for pound fighters in the world. Roach trained Khan for several years, but they parted ways back in 2012, and then the British boxer hired Virgil Hunter. He used trainer Joe Goossen for his last bout with Samuel Vargas, but he is back with Hunter - who took some time off from boxing due to illness. Roach has a lot of respect for Khan as a boxer, and he believes the boxing ability of Khan could give Crawford a lot of trouble. But Roach still believes Crawford is going to win, by knockout. "If Amir can stick to the gameplay and box for 12 rounds he can do really, really well because he is a great boxer," Roach told Boxing Social. "He has all the skill in the world and he has a lot of speed, but at some point he will go for the knockout and when he does that he gets himself in harm's way and get knocked out. "In all the fights he’s been knocked out, he’s been ahead. He's a very good boxer, he's very good at what he does but he has that block in his head. He goes for the knockout but in this sport you can’t go for the knockout; if it comes, it comes, don’t force it. "Terence Crawford is a good fighter. Amir has better speed and footwork but he has to put them together and be at his best. He has to win every round one at a time. 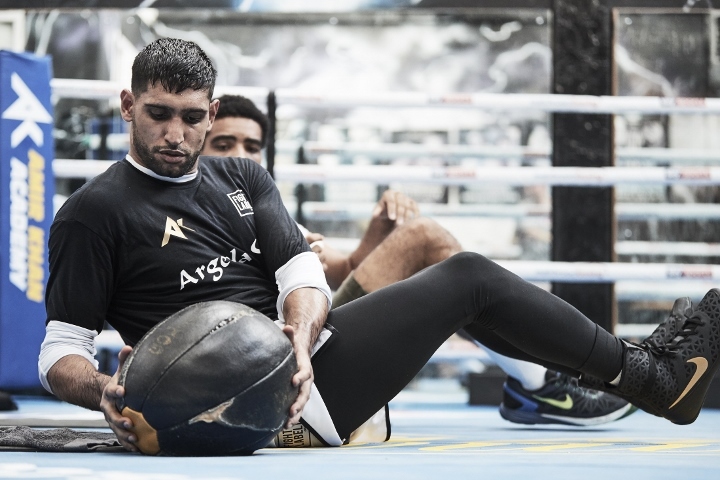 But I believe Amir will be knocked out somewhere along the way because he has bad habits."